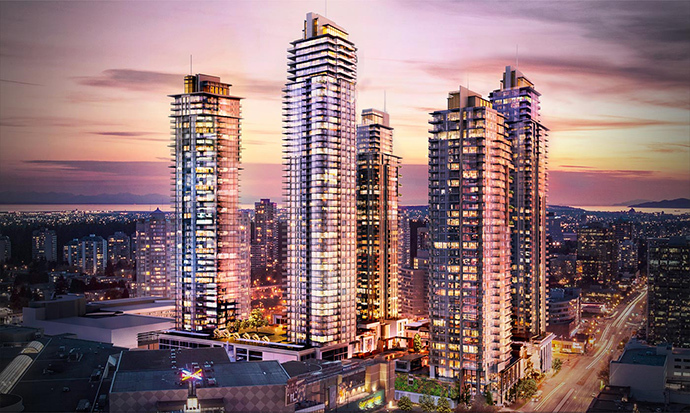 The Vancouver Condo Buzz » EXCITING NEWS! Phase 2 Station Square 4670 Assembly Way Burnaby Metrotown Condo Tower Grand Opening Previews Start April – BUY IN MAY! EXCITING NEWS! Phase 2 Station Square 4670 Assembly Way Burnaby Metrotown Condo Tower Grand Opening Previews Start April – BUY IN MAY! 4670 Assembly Way Burnaby Station Square Condos > see it this April and own it this May! WE ARE METROTOWN! Coming soon is the next phase launch at the master planned Station Square Metrotown real estate development that has everyone excited about! This brand new community will feature an amazing array of homes for sale as well as on-site amenities, new retail and commercial space. Nicknamed 4670 Assembly Way Burnaby Station Square Phase 2 will again feature architecture by Chris Dikeakos Architects (CDA), an award winning firm in addition to design standards up to LEED Silver equivalency! The second phase of this project will also feature a luxurious main lobby entrance with an overheight ceiling, comfortable waiting area and a 24/7 concierge/security desk. Just like in the first phase, all homes at 4670 Assembly Way Burnaby Station Square Phase 2 condos will come with the National 2-5-10 New Home Warranty for your peace of mind. There’s also a secure building entry system with enterphone at the grand entrance, security cameras and key fob access to the underground parking and all amenity areas on site. As well, there is restricted floor access in the elevators and fire sprinkler systems hard wired in all homes and common areas. The marketing says that previews will start in early Spring and presales are set to launch in May 2014! 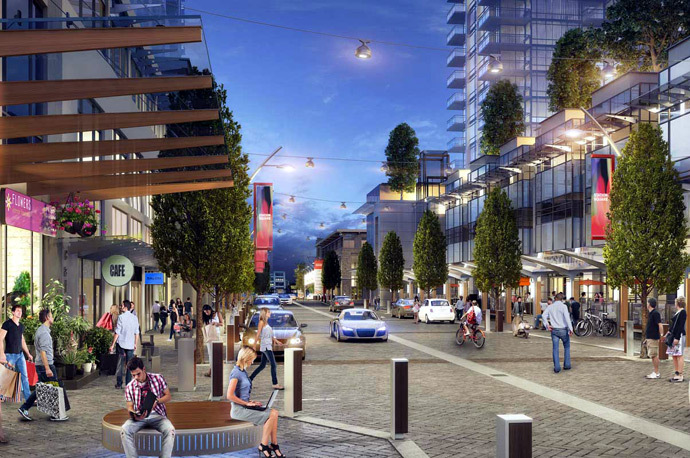 For more information about Phase 2 Station Square Metrotown, please visit their marketing web site at www.stationsquare.ca or you can register for more information with us! As with the first tower, the interior finishes are exceptional and modern. There are also two colour palettes for home buyers to choose from during the presales phase and they include Contemporary and Classic. The living areas will have beautifully engineered laminate wood floors in the bedrooms will have cozy and comfortable plush carpeting. All homes come with stacked washer/dryer that are energy efficient and the homes will have nine foot overheight ceilings. All windows will have one inch horizontal blinds for privacy and there is efficient electric baseboard heating system in every home. The new Burnaby 4670 Assembly Way Station Square Metrotown condos will feature contemporary bathrooms that include flat panel cabinetry, porcelain tiled surrounds and floors, frameless glass shower surrounds in select bathrooms and relaxing deep soaker tub that awaits you after a stressful day at work. In addition, the bathrooms will feature under mounted sinks, polished hardware in chrome finish, luxurious quartz stone counters, Duravit lavabory and Grohe chrome fixtures that are modern. The kitchens at the Phase 2 Station Square 4670 Assembly Way Burnaby condo high-rise will feature a stainless steel Porter & Charles appliance package that includes a hood fan, gas cook top, electric wall oven and premium integrated dishwasher with stainless steel interior. In addition, the kitchens will have in sink garbage disposal units, garburator and undermount stainless steel sink. The 4670 Assembly Way Burnaby condos will have high-gloss white cabinetry in the central kitchen island, contemporary flat panel lower cabinets and opaque glass upper cabinetry for that truly modern look and feel. As well, there is soft close cabinet hardware, integrated Liehberr fridge with bottom mount freezer and stainless steel Panasonic microwave. Please note that the Station Square Phase 2 condo features listed above are based on our knowledge of the first phase release finishes. The 4670 Assembly Way condo features may differ and can be changed without notice. Our advice is to speak with your realtor or a sales representative for more information. LIVE LARGE, INSIDE AND OUT. See it this April. Own it this May. At 48 storeys, 4670 Assembly Way Burnaby Station Square is the tallest landmark tower in this signature master planned community by Anthem Properties. Featuring bold architectural design outside and wall appointed contemporary layouts inside, the 4670 Assembly Way Burnaby condo tower will also feature almost 100,000 square feet of private green space stretching one city block. The building’s elevated amenity features include a tranquil fitness pavilion, reflection pool, and large indoor/outdoor entertainment areas. 4670 Assembly Way Burnaby Station Square condos sits above Restaurant Row, and the cafes and stores of Silver Drive Burnaby – the best of Metrotown at your fingertips. If you are interested in living in downtown Metrotown real estate district, then the new 4670 Assembly Way Burnaby condo tower is your best choice this year! The Station Square Assembly Way tower is brought to you through the collaboration between Beedie Living and Anthem Properties. THE BEST OF METROTOWN > 48 more storeys of Metrotown’s most highly anticipated community are coming this April. 4670 Assembly Way is the next phase at Station Square – the very best of Metrotown. More shopping, more dining, more amenities, more transit options – everything at your doorstep: that’s what it means to live in Downtown Metrotown. If you’ve received this email, it means you’re already registered with us and you’ll be the first to receive updates about our progress, invites to upcoming VIP events, and information on new releases before the general public.